8 “Progressive Revelation” on the Nature of Sheol? Let’s now observe what the Old Testament prophets had to say about the nature of Sheol. Ah, you who rise early in the morning in pursuit of strong drink, who linger in the evening to be inflamed by wine, (12) whose feasts consist of lyre and harp, tambourine and flute and wine, but who do not regard the deeds of the LORD, or see the work of his hands! (13) Therefore my people go into exile without knowledge; their nobles are dying of hunger and their multitude is parched with thirst. (14) Therefore Sheol has enlarged its appetite and opened its mouth beyond measure; the nobility of Jerusalem and her multitude go down, her throng and all who exult in her. This passage is referring to the wicked nobles of Judah and the numerous people corrupted by their leadership. According to verses 11-12 these people had completely forsaken the LORD and had plunged into a flood of “partying” and dissipation. In fact, earlier in chapter 3 the LORD remarked that they had become as brazenly shameless as Sodom (3:9) — that’s pretty bad! As a result of their evil deeds, God had to justly pronounce judgment on them as shown in verses 13-14 above. Many were to be taken into captivity, no longer blessed with the knowledge of God. Many more would die of hunger and thirst, while others would be slain by the sword (1:20). This is obviously not a literal statement. Sheol is not some living entity that possesses a colossal maw and appetite, but God uses this metaphor to effectively illustrate that numerous people would die because of His just judgment. “The wages of sin is death” and these rebels were simply going to have to eat the fruit of their actions (after much merciful patience on the LORD’s part, I might add). Therefore, as the tongue of fire devours the straw and as dry grass sinks down in the flame, so their root will become rotten [i.e. decay] and their blossom go up like dust; for they have rejected the instruction of the LORD of hosts, and have despised the word of the Holy One of Israel. Since Isaiah 5:14 blatantly refers to wicked people, the King James translators naturally rendered Sheol as “hell.” They obviously did this to give the impression that wicked people go to a nether realm of conscious torment when they die. This is in contrast to Isaiah 38:10 where they rendered Sheol as “the grave” because the text refers to godly king Hezekiah. Needless to say, this schizophrenic practice is a translation error of the greatest magnitude. It grieves my heart to see how the truth about Sheol was purposefully covered up in order to support the religious myth that Sheol (“hell”) is a nether torture chamber where undying souls suffer conscious torture without respite until their resurrection on judgment day. In this passage Hezekiah is praying for deliverance from a fatal illness that would cause him to die prematurely. Note, first of all, that Hezekiah clearly expected to go to Sheol when he died — just like Jacob, Job, David, Solomon and so many other men of God in the Old Testament era. The rest of his statements are very revealing concerning the nature of Sheol. In verse 10 he says that, if he dies and goes to Sheol, he will “be deprived of the rest of his years.” The rest of his years of what? The rest of his years of life! Hezekiah knew that if he died and went to Sheol, the spiritual graveyard of souls, he would be dead – he would not have life anymore; he would cease to have consciousness or feeling. That’s why, in verse 11, he speaks of life in this world as “the land of the living.” This is in contrast to the “land” of Sheol, which is the “land” of the dead where lifeless souls are held until their resurrection on judgment day. Notice also, in verse 11, he makes it clear that he “shall not see the LORD” in Sheol. This is further proof that souls held in Sheol are dead and conscious of nothing. After all, the Bible reveals God to be omnipresent; consequently, a righteous man like Hezekiah would certainly be able to sense God’s presence even in the nether abode of Sheol; that is, as long as he were alive, conscious and able. However, since souls held in Sheol are dead they are unable to experience God in any sense. Because they lack conscious existence the only thing they can “experience” is death itself, utter non-being. This is why Hezekiah would “not see the LORD” in Sheol. Regarding this last point from verse 11, some may argue that Hezekiah technically stated, “I shall look on man no more among the inhabitants of the world.” The obvious argument being that, although Hezekiah will not see people in the physical world any longer, he will definitely see multitudes of people in the paradise compartment of Sheol, as well as others being tormented in the fiery compartment. Momentarily accepting this argument, let’s read Hezekiah’s statement as if this contention were true: “I shall look on man no more among the inhabitants of the world, but — thank God — I shall look upon many people in Sheol while socializing with Abraham and friends.” Let’s face it, this belief makes an absurdity of passages like this. What Hezekiah was really saying was that, because he was about to die and go to Sheol, the graveyard of dead souls, he would no longer see and commune with his fellow human beings anymore. You see, with a proper understanding of the true nature of Sheol, scriptural statements like this make perfect sense. Let’s address an important question that is naturally raised in light of the fact that Hezekiah and other righteous people where destined to go to Sheol: What benefit was there to serving God in Old Testament times if both the righteous and the unrighteous went to Sheol when they died? First of all, those who served God were promised a full, blessed life on earth (Deuteronomy 8:1; Ezekiel 18:5-9, 14-17, 27-28), whereas those who forsook Him were risking the judgment of premature death unless, of course, they repented (Deuteronomy 8:19-20; Ezekiel 18:10-13, 18, 20, 26). Secondly, although both the righteous and the wicked went to Sheol when they died, the righteous were promised a resurrection unto eternal life as shown in Hell Know (Daniel 12:2-3), whereas the wicked would only be resurrected to face divine judgment and suffer the destruction of the second death (Daniel 12:2; Revelation 20:11-15; Matthew 10:28; 2 Peter 3:7). 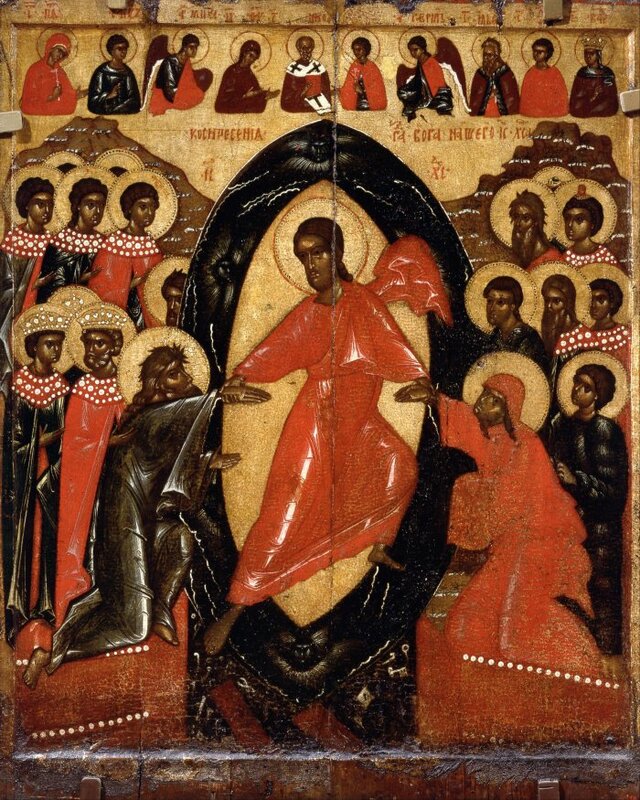 Before the ascension of Christ every soul had to die because no ransom of innocent blood had yet been paid; thus no soul could obtain intrinsic immortality and, consequently, go to heaven at the time of physical death. In our present era redeemed men or women go to heaven when they physically die to bask in the presence of the LORD while awaiting their glorious bodily resurrection — death and Sheol have zero power over blood-bought spiritually-regenerated children of the Most High God! Isaiah 14:1-23 addresses the LORD’s just judgment on the king of Babylon. “The wages of sin is death” and this was the Almighty’s sentence for the notorious Babylonian king. Consequently, the king died and his body was not given a proper burial. The passage also shows the king’s soul going to Sheol. Out of the multitude of passages in the Old Testament that describe the nature of Sheol this is the only one that advocates of eternal torture occasionally cite to support their belief. They’re not overly gung ho about it, however, since nothing is said about souls writhing in fiery torment, but they do occasionally cite it in a weak attempt to support the idea that souls in Sheol are conscious and can talk. Let’s closely examine the passage piece by piece to see if this is so. These verses reveal how oppressive, insolent and wicked the king of Babylon was to all the peoples and nations that surrounded him. Verses 5-6 show that the LORD Himself had broken the king’s staff and scepter; in other words, the LORD’s sentence of death brought an end to his tyrannical reign. Hence, all the peoples of the earth who were either oppressed by him or feared his possible threat are now at peace and even celebrating in song (verse 7). Verse 8 even states that the trees the king would regularly cut down for his numerous building projects would break out in exultation. Did these trees literally break out in triumphant jubilation? Of course not, this is figurative language. God is a master communicator and he uses figurative language here to make a point — the king of Babylon was so wicked that even inanimate objects would rejoice over his death! Sheol beneath is stirred up to meet you when you come; it rouses the shades [the dead] to greet you, all who were leaders of the earth; it raises from their thrones all who were kings of the nations. (10) All of them will speak and say to you: “You too have become as weak as we! You have become like us!” (11) Your pomp is brought down to Sheol, and the sound of your harps; maggots are the bed beneath you and worms are your covering. Sheol is preparing to receive the dead soul of the Babylonian king. The dead are roused to greet the king, including those who were once mighty kings of various nations. The Hebrew word for the dead in verse 9 is rapha (raw-FAW) which the NRSV translates as “shades,” as shown above. This word refers to the dead and can also mean “ghost.” Both the KJV and the NKJV translate rapha as “the dead” while the NASB renders it “the spirits of the dead” and the NIV as “the spirits of the departed.” Although these latter two translations use “spirits” in their multi-word definition of rapha, the usual Hebrew word for ‘spirit’ – ruach – does not appear in the text. Why do I point this out? Because when an unredeemed person dies their spirit (or breath of life) returns to God from whence it came; their dead soul goes to rest in Sheol until their resurrection. With this understanding, verse 10 shows these dead souls greeting the Babylonian king by informing him that, despite all his former glory and infamous power, he has now become weak like they are, signifying that human distinctions of greatness are meaningless in Sheol, the world of the dead. Should we take verses 9-10 literally? Did the dead souls in Sheol really rise up to greet and mock the king of Babylon? Absolutely not. We confidently conclude this for three reasons: 1. These people who are greeting the king are described as “dead” in verse 9. The dead are dead. Dead people are not conscious and cannot talk. 2. The passage switches from literal language to figurative language in verse 8; this is obvious because trees don’t talk and celebrate. Verses 9-11 continue in this figurative mode. Why should we assume this? Because, once again, the dead souls housed in Sheol are dead. Anything that is dead is not conscious and therefore cannot very well think, speak or greet; hence, the language must be figurative. 3. We’ve examined a multitude of clear passages in our study plainly revealing that Sheol is the nether realm of the dead, the “land of silence” where the dead know nothing and therefore cannot think or even remember God. This is verified by numerous respected men of God throughout the Old Testament and even by the LORD Himself, as we shall see in the next section on Ezekiel 32. Scripture is not open to isolated interpretation based on personal bias (see 2 Peter 1:20-21). Scripture interprets Scripture; it’s an interpretational law. Consequently, verses 9-10 must be interpreted as figurative language. And please notice that, figurative or literal, nowhere is anyone shown writhing in fiery torment hoping for a mere drop of water for relief. Verse 11 continues, showing that the Babylonian king’s “pomp” has brought him the sentence of premature death. Surely “pride goeth before destruction, a haughty spirit before a fall” (Proverbs 16:18 KJV). It goes on to say that maggots will be the king’s bed and worms his covering. This is insightful in multiple ways: The verse specifically refers to Sheol, which is backed up by its mention in verse 9, so we know the text is specifically talking about the world of the dead where the soul goes after death and not to the physical grave or tomb. It is said that maggots are his bed and worms his blanket. Is this literal language? Are there literal maggots in Sheol feeding upon dead souls? Not likely. This is more figurative language drawing a parallel to the physical grave to produce a powerful image (in the next chapter we’ll examine how Sheol and the physical grave are distinct yet parallel concepts in Scripture). What’s the picture we get from this image? Since maggots consume only carcasses, the image is that of death. It’s not a pretty picture, but it’s not supposed to be. Death was God’s judgment on the pompous Babylonian king for death is the wages of sin. Also consider the image of maggots being his bed and worms his covering. The picture is clearly that of sleeping in death, not roasting and wailing in roasting conscious torment. All the kings of the nations lie in glory, each in his own tomb; (19) but you are cast out, away from your grave, like loathsome carrion, clothed with the dead, those pierced by the sword, who go down to the stones of the Pit, like a corpse trampled underfoot. (20) You will not be joined with them in burial because you have destroyed your land, you have killed your people. Not being given a proper burial was the deepest degradation to ancients of the middle east. Ecclesiastes 6:3-6 shows that dying without mourners or honors was considered worse than being born dead, even if the person lives a full life and has numerous children (!). Such was the pompous Babylonian king’s dishonorable and humiliating demise. Verses 18-19 show that other kings were honorably placed in tombs and “lie in glory” whereas the Babylonian king is merely tossed into a mass grave with other dead Babylonians, a meaningless, unmarked grave that people walk over with no regard. The parallel of the soulish grave to the physical grave are shown in this passage as well. The text is clearly talking about the physical tomb and suddenly mentions that the king will be “clothed with the dead, those pierced by the sword, who go down to the stones of the Pit, like a corpse trampled underfoot.” We found out in Chapter Three that “the Pit” is another biblical term for Sheol. Obviously the physical grave and Sheol are distinct yet parallel concepts: Just as a body lies dead in a grave or tomb, so the soul lies dead in Sheol. Please note the language that is repeatedly used to describe the people in either the physical grave or Sheol – “carrion,” “the dead” and “corpse.” What’s God trying to communicate to us by the usage of this language? Just as a physical grave or tomb is meant only for that which is dead, so it is with Sheol. Souls in Sheol are carrion, not living, thinking, talking people. How much plainer could God be in His Word? Isaiah 14 in no way supports the idea that souls are conscious in Sheol. The passage details God’s stern punishment on wicked Zedekiah—the puppet king of Judah—his corrupt officials and the Jews under them, as well as those who escaped God’s discipline (the Babylonian invasion) by fleeing to Egypt. The LORD was going to “destroy them from the land” by means of sword, famine and plague. If wicked people suffer roasting torture in Sheol until their resurrection hundreds or thousands of years later, isn’t it curious that God didn’t add something to the effect of: “I will destroy them from the land I gave to them and their ancestors and they will subsequently suffer fiery torment in Sheol until their resurrection.” This is the case with numerous other passages that address God’s earthly judgment on wicked people as well. The point? If Sheol is a place of conscious existence where the unrighteous experience constant roasting agony until their resurrection in the distant future why would God omit such important information? It’s not like it’s an insignificant detail. The reason He “omits” it is because it’s simply not true. Sheol isn’t a torture chamber in the heart of the earth for conscious wicked souls (and neither is it a blissful paradise for righteous souls), it’s the graveyard of dead souls where people ‘sleep’ in death until their resurrection. Keep in mind that this is YaHWeH Himself speaking here. The LORD of course knows everything there is to know about Sheol and yet he doesn’t say anything about the wicked soul going to Sheol to experience constant roasting torment when the body physically dies. Why? Because souls—people—who unrepentantly sin will die; and Sheol is the “world of the dead” where dead souls ‘rest’ in death till their resurrection on judgment day (Revelation 20:11-15). (22) Assyria is there, and all its company, their graves all around it, all of them killed, fallen by the sword. (23) Their graves are set in the uttermost parts of the Pit. Its company is all around its grave, all of them killed, fallen by the sword, who spread terror in the land of the living. (24) Elam is there, and all its hordes around its grave; all of them killed, fallen by the sword, who went down uncircumcised into the world below who spread terror in the land of the living. They bear their shame with those who go down to the Pit. (25) They have made Elam a bed among the slain with all its hordes, their graves all around it, all of them uncircumcised killed by the sword; for terror of them was spread in the land of the living, and they bear their shame with those who go down to the Pit; they are placed among the slain. (26) Meshech and Tubal are there, and all their multitude, their graves all around them, all of them uncircumcised, killed by the sword; for they spread terror in the land of the living. (27) And they do not lie with the fallen warriors of long ago who went down to Sheol with their weapons of war*, whose swords were laid under their heads, and whose shields are upon their bones; for the terror of the warriors was in the land of the living. (28) So you shall be broken and lie among the uncircumcised, with those who are killed by the sword. (29) Edom is there, its kings and all its princes, who for all their might are laid with those who are killed by the sword; they lie with the uncircumcised, with those who go down to the Pit. (30) The princes of the north are there, all of them, and the Sidonians, who have gone down in shame with the slain, for all the terror that they caused by their might; they lie uncircumcised with those who are killed by the sword and bear their shame with those who go down to the Pit. (31) When Pharaoh sees them, he will be consoled for all his hordes — Pharaoh and all his army killed by the sword, says the Lord GOD. (32) For he spread terror in the land of the living; therefore he shall be laid to rest among the uncircumcised, with those who are slain by the sword – Pharaoh and all his multitude, says the Lord GOD. Since Egypt’s sentence is death, verse 18 says that the Egyptians shall be sent down “to the world below, with those who go down to the Pit.” “The Pit” is bowr in the Hebrew and is another term for Sheol, as detailed in Chapter Three; this synonym for Sheol appears 4 more times in the passage (verses 24, 25, 29 & 30) while Sheol itself appears twice (verses 21 & 27). As such, there’s no doubt that this section of Scripture is addressing the subject of Sheol, the intermediate state of un-regenerated souls between physical decease and resurrection. With this understanding, let’s work our way through the long passage point by point. Verse 18 describes Sheol as “the world below.” Sheol is described this way because it is part of the underworld. We’ll look at this in detail in Chapter Nine but, briefly put, the Bible speaks of three realms or universes: 1. heaven, which is described as “the third heaven” in Scripture and is where God’s throne is located, 2. the earth & physical universe, and 3. the underworld (see Philippians 2:10 for verification). You’ll note that verse 18 above describes this “world below” as “the Pit.” Why? Because Sheol is a pit or dungeon in the underworld where dead souls are housed until their resurrection. Sheol has levels and chambers where dead souls are “laid to rest” in an orderly fashion according to nation and so on. The fact that souls in Sheol are dead is verified in verse 19 where it says that the Egyptians will be “laid to rest with the uncircumcised.” Notice they will be “laid to rest,” not writhe in screaming torment for over a thousand years without a break, as some ludicrously teach. No, they are simply laid to rest; this phrase is repeated in verse 32 in reference to the Pharaoh being “laid to rest” in Sheol. 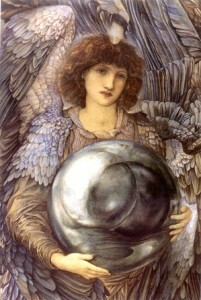 The two words “laid” and “rest” used in conjunction evoke the image of sleep. In addition, verse 21 says that people in Sheol “lie still,” verse 25 that Elam will be in “bed,” and verses 27, 28 and 30 that those in Sheol “lie” there. All these images clearly suggest sleep, not conscious suffering in fiery torment. Of course, these descriptions aren’t suggesting literal physical sleep, but rather the “sleep” of death itself, from which all unrighteous souls will be “awakened” to undergo the Great White Throne Judgment (Revelation 20:11-15). Verse 25 flat out states that souls in Sheol are dead: “they bear their shame with those who go down to the Pit; they are placed among the slain.” In other words, the newest group of souls entering Sheol will be “placed among the slain.” You see? Souls in Sheol are dead, they are not alive and are therefore conscious of nothing. How much clearer could God be? Note also how verse 19 says that the Egyptians will be laid to rest “with the uncircumcised.” Who are the “uncircumcised”? In the Bible circumcision was a sign that a person was in covenant with God under the law of Moses. The Scriptures always distinguish between those who are in right-standing with God and those who are not. The “uncircumcised” in the text did not have a contract with God and therefore were not right with Him. This would include the numerous peoples cited throughout the passage—the Assyrians, Edomites, Sidonians, etc. In other words, verse 19 is simply pointing out that the Egyptians will be laid to rest in the very same section of Sheol that housed other uncircumcised godless people from that era. As noted throughout our study, souls in right-standing with God also went to Sheol at the time of death during the Old Testament period but were not laid to rest with the uncircumcised. There was obviously a separate section of Sheol for those in covenant with God. If this sounds strange to you, consider the fact that bodies are buried in earthly graveyards in an orderly fashion according to family, purchaser and sometimes even religious faith (for instance, there are Catholic cemeteries and church cemeteries where only those of that specific faith can be buried), why would we think it would be any different for dead souls in Sheol? 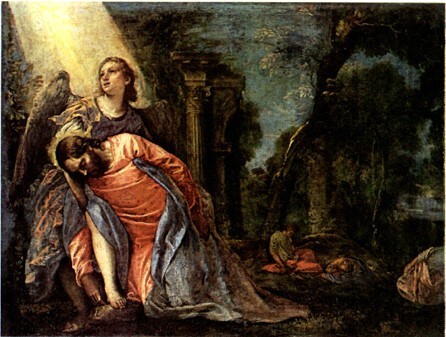 These righteous souls will be resurrected at the time of their bodily resurrection when the Lord returns to earth to establish his millennial reign (Daniel 12:1-2 & Matthew 19:28-30), although I leave room for the possibility that their souls were raised to life when Jesus ascended to heaven (Ephesians 4:7-10). In any case, righteous souls no longer go to Sheol when believers die because they possess eternal life through spiritual regeneration via the imperishable seed of Christ (1 Peter 1:23). Verse 20 states that those in Sheol have been “killed by the sword” and that the Egyptians will suffer this same fate. This phrase (or similar phrasing) is used for every group mentioned in the passage. In other words, the text repeatedly emphasizes that these people are dead. Also notice that it says they were killed “by the sword.” If taken in a strictly literal sense we would have to conclude that each of these thousands upon thousands of people from varying nations perished by the stroke of a sword. Is this what happened? Of course not. Many obviously died from other methods—arrow, spear, club, fire, etc. “The sword” simply refers to the God-ordained right of a government to inflict the penalty of death on those who have committed capital crimes or those judged and condemned by God (see Romans 13:4). For instance, Ezekiel 31-32 show that Egypt had been judged and condemned to death. Whom does God commission to carry out this sentence? 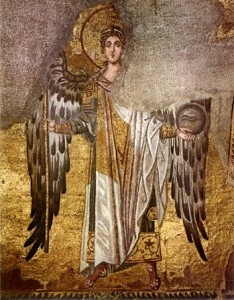 Babylon, as verified in Ezekiel 32:11: “ ‘For this is what the Sovereign LORD says: ‘The sword of the king of Babylon will come against you [Pharaoh and his army]’.” It’s unlikely that the Pharaoh carried a sword and, even if he did, it was merely for show; so “the sword” that the king of Babylon carried was actually the authority from God to carry out His just sentence of death. Assyria is there, and all its company, their graves all around it, all of them killed, fallen by the sword. (23) Their graves are set in the uttermost parts of the Pit. Its company is all around its grave, all of them killed, fallen by the sword, who spread terror in the land of the living. These verses reveal that the Assyrians are in Sheol and that they are killed, fallen by “the sword” of the LORD’s judgment. In addition, three times the passage emphasizes that the graves of the Assyrians are in Sheol. The words “graves” and “grave” are respectively translated from the Hebrew words qibrah (kib-RAW) and qeburwrah (keb-oo-RAW), which refer to literal graves or tombs. What’s this mean? Simply what we’ve been discovering throughout this study—Sheol is a graveyard in the underworld where dead souls are laid to rest until their resurrection. Just as dead bodies are laid to rest in grave plots on earth, so dead souls are laid in grave plots in Sheol. Is a grave ever intended for anything other than that which is dead? Of course not. This is further proof that souls in Sheol are dead and that Sheol itself is a soulish graveyard in the underworld, not a diabolical torture chamber. Verses 24-26 likewise point out that there are “graves” in Sheol for the people of Elam, Meshech and Tubal. Tell me: Are people placed in graves for the purpose of conscious torture or simply to lie in the “sleep” of death? Notice in verse 23 that the Assyrians’ graves are set “in the uttermost parts of the Pit.” This is evidence that there are levels in Sheol and distinct sections. The dead souls of the Assyrians were, evidently, placed in one of the lowest levels. The very same point is made in reference to Elam, Meshech, Tubal and Egypt in verses 24, 25, 26, 27 and 32. We’ll look at this further in the following chapter. As you can see, throughout this long passage God repeatedly uses unmistakable and vivid language to show that souls in Sheol are dead. God is without doubt a master communicator. With this understanding, verse 31 must be taken in a non-literal sense because it states that, after Pharaoh dies, he will “see” the other groups laid to rest in Sheol and be “consoled.” This is obviously not to be taken literally. Pharaoh and his men will be dead at this point and will not be able to see anyone or anything; they’ll be laid to rest in the sleep of death just like the other groups in Sheol. In fact, the very next verse—verse 32—emphasizes that Pharaoh is “laid to rest” in Sheol, not alive and making observations; and please notice that he’s “laid to rest” not suffering in fiery torture. However, even if we were to view verse 31 literally it still wouldn’t support the religious view that pagan souls are in a state of constant torment until the Day of Judgment. After all, how would Pharaoh possibly be consoled by the fact that he and his army are going to join thousands upon thousands of writhing, screaming souls in roasting agony? Do you see how unscriptural this mythical belief is? “Progressive Revelation” on the Nature of Sheol? The reason these people are compelled to such error is because they’ve been indoctrinated that Jesus’ story of the Rich Man and Lazarus from Luke 16:19-31 is a literal account of life after death for un-regenerated souls. Yet, if we take this tale literally the entire rest of the Bible is in error on the nature of Sheol. Hence, they had no recourse but to concoct the idea of “progressive revelation.” Aside from the obvious fact that this reasoning conflicts with the weight of scriptural testimony, there are two problems with this position: 1. Jesus’ story of the Rich Man and Lazarus is clearly a fantastical story that was never meant to be taken literally. We’ll examine it in detail in Chapter Eight where you’ll see that it would be absurd to take it literally. And 2. the idea of “progressive revelation” suggests that humanity’s awareness of the nature of Sheol slowly evolved over time. The problem with this is that there is clearly no progressive revelation on Sheol in the Bible. The testimony of Scripture goes from the concept of Sheol as a nether graveyard where dead souls are conscious of nothing as they “sleep” in death, to the abrupt and completely opposite notion (based solely on a literal interpretation of Jesus’ parable) that Sheol is a nether realm where souls are fully alive and conscious, either in a state of constant fiery torment or hanging out with Abraham in communal bliss, depending upon whether the soul is wicked or righteous respectively. So how does Ezekiel 32:18-32 disprove this theory of “progressive revelation”? Simply because God Himself is speaking throughout this long passage. 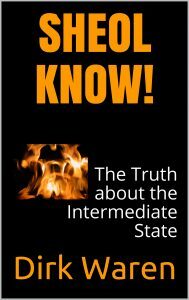 Throughout this study we’ve examined numerous passages on Sheol that reflect what various Old Testament characters believed about the nature of the intermediate state. We’ve looked at Job’s view, Solomon’s view, David’s view, Hezekiah’s view and many others. All of their views coincide that Sheol is a “Pit” in the underworld where dead souls are laid to rest in the unconscious sleep of death ‘awaiting’ their resurrection. One may argue that their views are the result of a limited understanding of the subject and are therefore inaccurate. Yet, one cannot make this argument concerning Ezekiel 32:18-32 because God himself is speaking. It’s the same thing with Ezekiel 18:4,20 and 28:7-8,19, which we looked at earlier this chapter. Not to mention Ezekiel 26:19-21, which we’ll examine next chapter. The LORD Himself is speaking in all these passages. Does anyone ludicrously think that God had a “limited understanding” of the nature of Sheol? Does anyone absurdly think that the LORD had to have “progressive revelation” on Sheol? Or has He always known precisely and completely everything there is to know about it? The answers are obvious. The vast majority of people who believe that Sheol is a place of conscious torment (or bliss for Old Testament saints) have never researched the subject of Sheol beyond Jesus’ story of The Rich Man and Lazarus. I know because I was once one of them. As such, I understand their reasoning: The story of the Rich Man and Lazarus, if taken literally, reveals that people are in a conscious state in Sheol; and since Jesus Christ himself is speaking it’s not necessary to look into the subject any further. In other words, Jesus’ tale tells us everything we need to know about Sheol; after all, who would know more about Sheol than Jesus Christ himself? Well, according to the Bible there’s only one higher than the Son, and that’s God the Father, and He is the One speaking in Ezekiel 32:18-32 wherein He repeatedly and explicitly reveals that souls in Sheol are “slain,” “laid to rest,” “lie still,” in “bed” in “graves,” etc. There’s mysteriously no hint of souls suffering in roasting anguish crying out for less than a drop of water that won’t be given. Why is it that advocates of conscious torture fail to bring up this long commentary on Sheol by God the Father Himself in Ezekiel 32? Because it contradicts their false religious belief, that’s why. Another reason this “progressive revelation of Sheol” argument holds no water is because the Psalms are “God-breathed” (2 Timothy 3:16) and, as such, all the psalmists “spoke from God as they were carried along by the Holy Spirit” (2 Peter 1:21). This is why Jesus said David was “speaking by the Spirit” when he quoted Psalm 110:1 (Matthew 22:43-44). This, of course, implies that David was “speaking by the Spirit” in all his psalms (and he wrote at least half of them). In other words, David’s statements in the Psalms were spoken by the inspiration of the Holy Spirit and the Holy Spirit is God. In light of this, David’s exposition on Sheol contained in the psalms, as well as statements by other psalmists, shouldn’t be considered just “their view” of Sheol. No, it’s God’s view too because they were “speaking by the Spirit,” as Jesus put it, and the Holy Spirit is God; and God had no “progressive revelation of Sheol.” He’s always known the truth about its nature.. I will ransom them from the power of the grave (Sheol); I will redeem them from death. Where, O death, are your plagues? Where, O grave (Sheol) is your destruction? This passage is simply God’s promise that all his children shall be ransomed from Sheol and redeemed from death. This was accomplished, of course, through the death and resurrection of Jesus Christ “who became a ransom for all men” (1 Timothy 2:6). Jesus took our place and died for our sins so we don’t have to. Christians who are spiritually born-again of the imperishable seed of Christ have eternal life in their spirits. Consequently, the only death they’ll undergo is physical death. The simple reason for this is that “flesh and blood cannot inherit the kingdom of God” (1 Corinthians 15:50). Which is fine because those redeemed through Christ are going to ultimately receive a much better body—an imperishable, glorified, powerful, spiritual body (see 1 Corinthians 15:42-44)! The awesome thing about this new body, unlike the old one, is that it can inherit the kingdom of God! You’ll observe that Sheol is mentioned synonymously with death and destruction in Hosea 13:14. In other words, Sheol is death and death is Sheol. 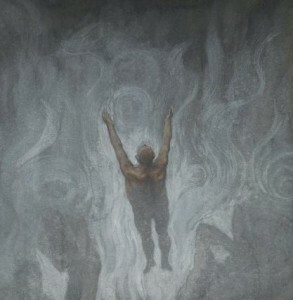 The condition of souls in Sheol is destruction, not flaming torture. That’s why the LORD raises the question: “Where, O Sheol, is your destruction?” and not, “Where, O Sheol, is your continuous fiery torment?” The Bible is so easy to understand once you’re freed up from erroneous religious indoctrination! (14) “What does he look like?” he asked. (20) Immediately Saul fell full length on the ground, filled with fear because of Samuel’s words. His strength was gone, for he had eaten nothing all that day and all that night. As we’ve seen in this study, souls in Sheol are dead because the spiritual breath of God that animates them — that is, gives them life — has returned to the Creator. People become living souls when God animates them with a breath of life, as the ‘creation text’ states (Genesis 2:7). Just as a physical breath of life is required for a body to live, so a spiritual breath of life is necessary for a soul to exist in a conscious sense. In the Old Testament period people’s souls went to Sheol at the point of physical death and the breath of life returned to the Almighty; this included both the righteous and the unrighteous. Elijah and (apparently) Enoch were exceptions (2 Kings 2:11 & Genesis 5:24). They bypassed death — Sheol — and went straight to heaven. God is the all-knowing, all-powerful Sovereign Creator of the universe and he occasionally chooses to treat some differently. God chose to spare them from death – Sheol – for His own purposes. Again, these are exceptions. The case of Samuel is a temporary exception where God, in His divine wisdom, chose to allow Samuel to be resurrected to ‘witness’ to the witch (in a sense) and prophesy to King Saul. Further proof that this was actually Samuel is that the witch cries out in fear when she saw the prophet coming up out of the earth; in other words, she wasn’t used to such real manifestations! Secondly, notice that what Samuel said was in line with God’s Word, and what he predicted came to pass — Saul and his sons were dead the next day (1 Samuel 31). The passage says nothing about the nature of Sheol so we must turn to the rest of Scripture for answers on that question, but it fits the Sheol-as-the-sleep-of-death model in that Samuel says, “Why have you disturbed me by bringing me up?” This implies, of course, that he was disturbed from his ‘rest’ in Sheol. The rest of Scripture reveals what this ‘rest’ is — the ‘sleep’ of death where the soul is not conscious of anything because it’s dead. How did God work this miraculous temporary resurrection? He simply breathed a spiritual breath of life into Samuel’s dead soul, which was housed in Sheol, and Samuel became conscious—i.e. a living soul—and came up. Speaking of coming up, note that Samuel came up from down in the earth, which is where Sheol—the world of the dead—is located: in the heart of the earth, albeit in the spiritual realm, not the physical, since Sheol and disembodied souls are not physical in nature (Matthew 12:40). Also, Samuel states that when Saul and his sons perish the next day they “will be with him.” My point? Both the righteous and wicked went to Sheol upon physical death in the Old Testament era. In our era, however, death has no power over those of us who’ve been born again of the imperishable seed of Christ, the second Adam—Praise God! If my comments on human nature seem hard to understand (e.g. “spiritual breath of life”, etc.) please read Appendix B Understanding Human Nature – Spirit, Mind & Body. And how about Ezek 32:21: The strong among the mighty shall speak to him out of the midst of hell …. Seems to me there is someone talking in the Sheol, so not sleeping. What is your opinion about this? The passage is addressed in this very chapter, Job. You can read it here. Please be sure to read the following section as well, “Progressive Revelation” on the Nature of Sheol? Seems to me there is someone talking in the Sheol, so not sleeping. Just to clarify (although you’re likely aware of this): Dead souls do not literally sleep in Sheol. 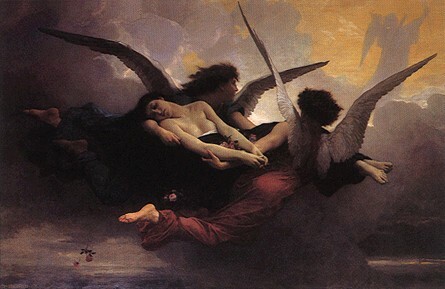 “Sleep” is a metaphor for the soul’s condition of death while temporarily held in Sheol. The Bible uses this metaphor because all souls stored in Sheol will one day “wake up” for the purpose of judgment. This is what differentiates Sheol, the first death, from the lake of fire (Gehenna), which is the second death (Revelation 20:6,14; 21:8 & 2:11). Everyone will be resurrected from the first death, but no one will be resurrected from the second death. This is why the second death is described as an “eternal punishment” (Matthew 25:46) or “everlasting destruction” (2 Thessalonians 1:9) because there is no hope of recovery or resurrection from it — it’s a fatal destruction of such complete and final magnitude that it lasts forever and ever. For details, go here and also read the following two sections.